The Mobile Passport Control (MPC) app was first launched to US citizens in August 2014 at Hartsfield-Jackson Atlanta International Airport and since it has expanded its reach by adding more US airports. Some more great news - the app is now available to Canadians who hold a valid passport. It is free to download and free to use; so what’s not to love?! This is an entirely different program to Global Entry. There are five airports which are currently a part of the program: Atlanta (ATL), Miami (MIA), Seattle (SEA), Chicago (ORD), and San Francisco (SFO). The Mobile Passport creators and the U.S. Customs and Border Protection (CBP) goal is to have at least 20 airports accepting the app over the next year. Once the app is on your phone, there's nothing left to do until your plane lands at one of the participating airports listed above. When you turn off "airplane mode," open the app, complete the steps, and you'll have your immigration and customs clearance ready before even stepping off the aircraft. Your profile will include your name, gender, date of birth, and country of citizenship. According to U.S. Customs and Border Protection (CBP), the process is simple and the travelers complete the “New Trip” section by selecting their arrival airport and airline. Next is the fun part, take a selfie! Following this you will need to answer a series of custom declaration questions. Once you’ve submitted the form through the app, you will receive an "electronic receipt with an Encrypted Quick Response (QR) code," which expires four hours after issuance. Next you bring your passport and mobile device with your digital bar-coded receipt to a CBP officer to finalize your inspection. Done! The Mobile Passport Control (MPC) app is much like the Automated Passport Control (APC) system, it streamlines the traveller’s inspection process and enables CBP officers to focus more on the inspection and less on administrative functions. 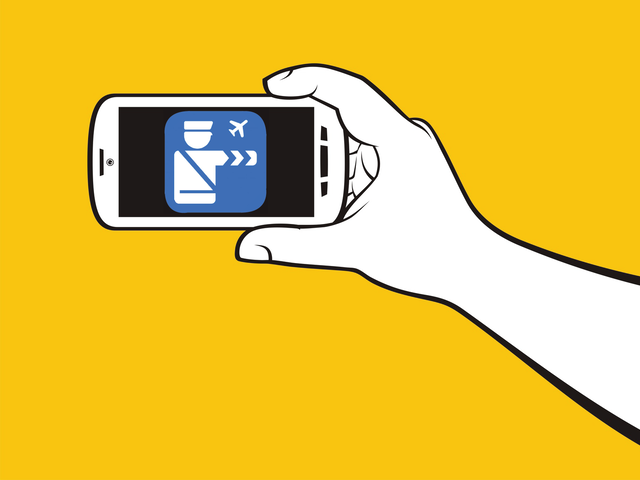 The Mobile Passport Control (MPC) app enables a traveller or even a family group to pre-position their biographic information prior to speaking with a CBP officer. The CBP officer is then able to focus on identity verification, admissibility and questioning to determine purpose and intent of travel. This process will ultimately reduce the traveler’s time spent with the CBP officer—helping to improve service levels and decrease wait times. This first of its kind app was developed by Airside Mobile and Airports Council International-North America (ACI-NA) in partnerships with US Customs and Border Protection (CBP). The Mobile Passport app is available on Apple and Android devices, look for it on iTunes and in the Play Store.